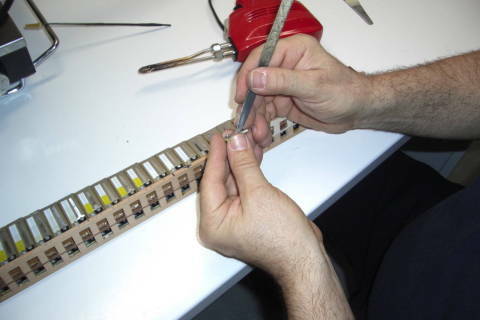 Double Zed Music offers a repair and tuning service. Please email us with your requirements and we will be able to give you a rough estimate for both price and time needed to complete the work. We will guarantee the work for 6 months. 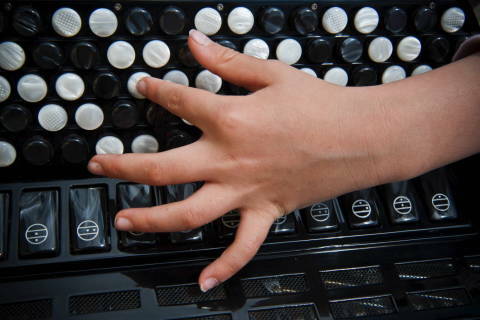 Both our repairers have trained with Beltrami Accordions in Stradella. 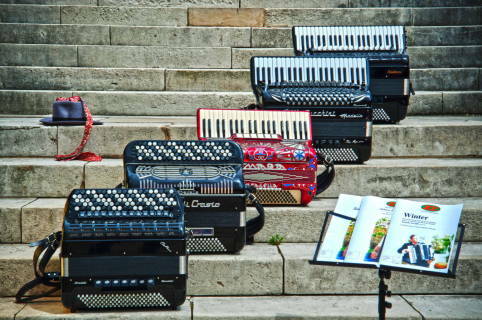 We have full support of Beltrami Accordions in Italy. Whether you are a child or an adult, studying, working or retired Double Zed Music will do its utmost to try and find a lesson time which suits you. Romano Viazzani is the main teacher, but if he cannot teach you himself here in Harrow, Double Zed Music will endeavour to find a teacher that can, near you. We have close ties with UKAAT (UK Association of Accordion Teachers) who are an organisation formed by teachers all over the UK in order to raise the standard of accordion teaching in the UK. Please contact us with any enquiries and to find out what our hourly current rates are. Romano Viazzani is an experienced teacher who is frequently asked to adjudicate at accordion exams, final recitals and competitions both nationally and internationally. It is his mission to raise the standard of accordion playing in the UK and get more accordion students to go on to further education in establishments where accordion is offered such as the Royal Academy of Music, a mission in which he has had some success. If you would like to learn the accordion you needn’t buy an instrument just yet as we have several serviceable accordions ready for you to hire starting from £1 per day until you have made your mind up. This will give you enough time to see if you have aptitude for the instrument and also to understand which instrument would best suit your needs going forward. Getting started is one of the hardest steps to take if you don’t already own an instrument. The choice of instruments, tunings and systems can be overwhelming. Unless you already know what you want the important thing is not to worry about this at the start. For this reason Double Zed Music have a range of serviceable accordions you can hire as a student from us just to get you started and give you more chance to decide what you will be ultimately happy with. We believe getting a feel for the accordion and making music is more important at this stage than making big decisions which cost a lot of money. If you are taking lessons with us you will get preferential rates starting from £1 per day for a basic standard bass piano or button accordion subject to availability. Minimum hire period for this special deal is 2 months. Other rates apply if you are a student with another teacher but still need to hire an accordion. In each case please contact us to see which of our displayed accordions are currently in stock for hire. Hiring an accordion for the purpose of performance. Perhaps you are a travelling musician and are unable to take you accordion with you to the UK because of flight restrictions. Please contact us to see if we may have or are able to obtain an accordion to suit your needs. Special daily rates apply for this based on the instrument required. We have a variety of systems and tunings available for hire. How many times have we watch a period drama or film and seen a modern accordion being played. To many this will not matter a jot but to those in the know it is like seeing a Roman soldier wearing a watch! The accordion and its relatives were patented in the 1820s. Instruments like cars have developed over time and so if your film or show is set in Victorian times, or in the 1920s and 30s the look will be radically different to an accordion from the 40s, 50s and 60s and anything later will be different again. If the accordion is to be played, then the correct tuning for the music to be played may also be a consideration too as would the geographical setting of your production, for example most French accordionists play button accordions where as in Scotland, the piano accordion dominates. A Victorian accordionist would have played a small button-keyed melodeon, a tango band would utilise a bandoneon and a modern classical accordionist would play very serious-looking large plain black “free bass” accordion. Whatever your requirements please contact us to see what is available for your production. We have a range of authentic playable instruments as well as some for just miming with whose reed blocks can be removed so that they make no sound.